Gaijin Entertainment is a Russian video game developer that has been around since 2002. They have predominantly developed simulation games in the past such as 2009's Wings of Prey, 2010's Apache: Air Assault and 2012's Birds of Steel, but have also developed games in other genres such as 2007's X-Blades and its spiritual successor, 2012's Blades of Time. It was also in 2012 that Gaijin released War Thunder as an open beta in Russia (before the rest of the world were allowed to participate in 2013). On initial release, War Thunder had 200 aircraft available and 600,000 players. By the end of 2016, the game had 800 playable vehicles and 15 million players in total. The game now boasts 1,000 playable vehicles from several factions (including, but not limited to the US, UK, Japan, Germany and Soviet Union) and Gaijin are currently proposing to introduce naval vessels to its arsenal of tanks and planes. Okay, but what exactly is War Thunder? Well, it's an MMO/simulation game where you're able to either pilot historical fighter planes or tanks in battles against other players. Completing objectives and winning games will reward you with experience points which you can use to unlock new planes and tanks, or upgrades for your existing ones. The game offers three modes with Arcade being the most forgiving (and intended for casual players), Realistic being the mode intended for veteran players or those who enjoy simulations, and Simulation being the least forgiving (for those who really want the most realistic experience possible). War Thunder is a very popular game amongst my circle of gaming friends, including two of the contributors here at Choicest Games: Choona and Luke. So it was only a matter of time before I was roped in to give it a try 😊. Also, before I get into the review proper, some of you may have noticed I've only played just over 10 hours of War Thunder which doesn't seem like much time for a free-to-play MMO – but in order to do an MMO justice, you'd have to play the game religiously every day and not only that, re-review the game every time a major update comes out that changes all of the content. It would take far too long to grind every one of the 800+ vehicles in the game and by the time I got to that stage, the game's servers would most likely be out of commission. So, I think 10 hours is good enough for a taste of what the game is about and that's what my review will focus on – don't come in here expecting to know what the end-game content is like and how bad the grind is (although since the title is free-to-play, and based on some Steam reviews by those that have invested hundreds of hours in the game, I'm guessing it will be bad – Wargaming.net has gotta make a buck somehow I suppose). As mentioned, the game has hundreds of planes and tanks to unlock from the iconic fighters, bombers and tanks of WWII and beyond, to the more obscure (I like the fact that you can fly Australian CAC Boomerangs in the game, unfortunately you have to pay real money in order to unlock it). 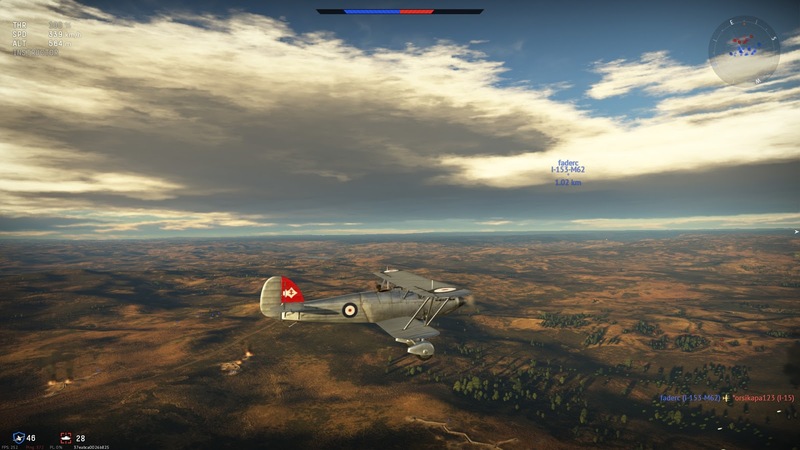 Maps seem large in War Thunder and there's a considerable amount of detail which is what you want in a an MMO simulation game (although it amazes me sometimes how they manage to pull it off even on modest systems). And while on the topic of detail, planes and tanks take locational damage; not only that but it's actually quite crucial in tank battles to ensure you hit the weak points as sometimes your shells won't be able to pierce the armour if you hit the wrong spots. 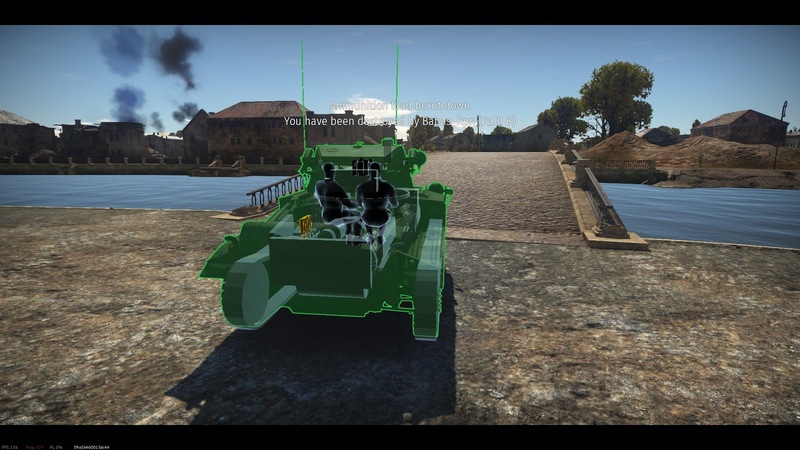 Also, knowing where the crew sits is important since if you can incapacitate the crew, it's game over for the enemy tank. This is where I spent most of my time while playing War Thunder and the mode I enjoyed the most. For the casual player or those not used to playing simulation games or MMOs, I believe this is a good starting point. It took some getting used to flying the plane with the mouse but once you get the hang of it, it's a blast. 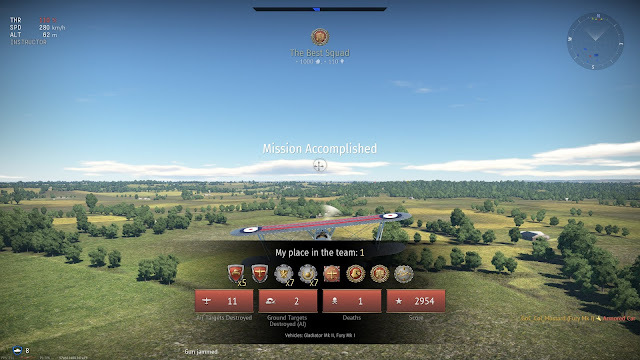 I also had a few tries at Realistic Air Battles which is a bit more challenging than Arcade mode thanks to more realistic damage, flight and physics models. You also run out of ammo and there is no "leading marker" to assist with aiming. What I love most are often the simple things and in the case of Realistic Air Battles, it was the challenge of landing a plane especially when it's hobbling home after suffering battle damage: it reminded of the good ol' days of playing Secret Weapons of the Luftwaffe where I'd often try to bring a B-17 back home with a whole bunch of overheating engines, requiring a lot of tinkering around with the throttle. I get the same vibe when playing Realistic Air Battles in War Thunder. The game has 40 Steam Achievements to earn although there are no Steam Trading Cards to collect. The game can be overly complex to a player seeking a casual experience. One problem I had was that the UI is really busy and not terribly intuitive. Sometimes I would find myself selecting the wrong planes or unlocking extra slots for more vehicles when I didn't need to (although the cynic in me says maybe this is intentional, since you can also use real money to buy extra slots). The game also has several research and technical specification screens along with a lot of jargon and different in-game currencies that you have to get your head around. Now, I'm not going to say it's only War Thunder that has this problem since there are several MMOs out there that are similar (e.g. Star Trek: Online and more recently Fortnite's "Save the World" mode) but War Thunder's is the worst I've experienced so far, probably because it's not just an MMO but a simulation as well. However, if you're really into WWII planes and tanks and are willing to invest the time to learn the intricacies of the game, I'm sure it'll be much more appealing (as is the case with most MMOs). I didn't have much fun with tank battles but this might depend on whether you're a simulation buff or a casual player. I found the tank battles to be more challenging than the air battles and I even managed to lose Silver Eagles when I lost a battle (which is apparently one of the in-game currencies that you need to do just about everything, including purchase ammo!). Practice makes perfect of course but I'd much rather just stick with air battles. A minor complaint this one since, seriously, who would complain about developers regularly patching the game? Well, those who don't have their launcher open all the time downloading the several gigs of updates each week, that's who! 😊 Anyway, just be warned, since there were several times I was caught out (i.e. wanting to play a quick round of Arcade Air Battles and then having to wait 45 minutes for a patch to download and install … boooo). War Thunder is a free-to-play fighter and tank simulation MMO that's got something to offer for both the casual player and the WWII tank buff, although a lot of its content and even its interface is probably better suited to the latter demographic. I found myself bewildered and confused by the number of options, in-game currencies, research trees, game modes, weapon statistics, etc. that when I went into a battle, I never knew whether my plane or tank was truly setup to unleash its full potential. However, if you don't give a damn about that stuff and are quite content to just blast away a few enemies, I'd strongly recommend sticking around in Arcade mode. If you are willing to invest the time though and you love simulation games, the other game modes in War Thunder might be just for you.